Commercial Playground Equipment in Nebraska: Premium Playground Architects, Designers & Installers for Schools, Church, & Pre-schools. $50,000 Matching Playground Grant Now Open! Submit a Request Below for Application. 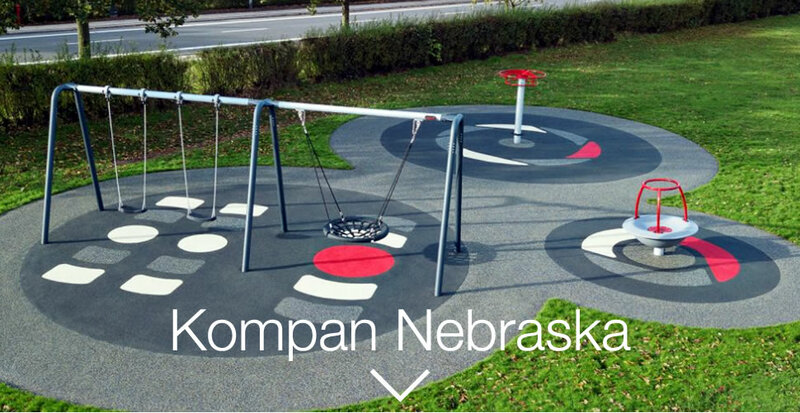 Kompan Nebraska (dba Play, Inc.) is leading the way for innovative commercial playground equipment in the great state of Nebraska. Serving cities from Omaha to Lincoln; Grand Island to Scottsbluff; and every small town in between - Play, Inc. is at your service. At Kompan Nebraska, we believe every child deserves opportunities for Inclusion, Creative Play, and Safety. Our playsets do just that. what challenges they may face. Our Six Principles For Universal Inclusive Design. Many of our pieces allow for ground-level access, such as our Corocord Rope Climbers and Spinners, allowing every child to participate. 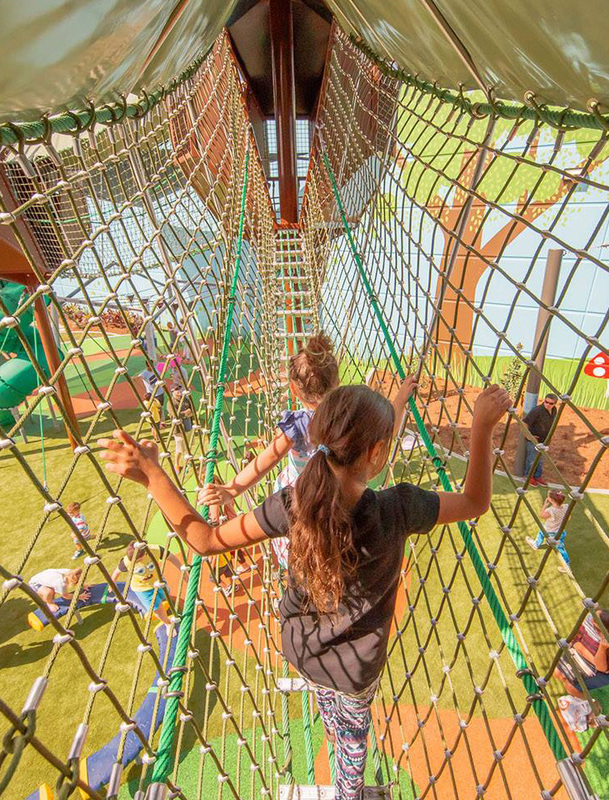 Traditional playgrounds force kids through singular routes like railed walkways or staircases. But that's not how children PLAY. 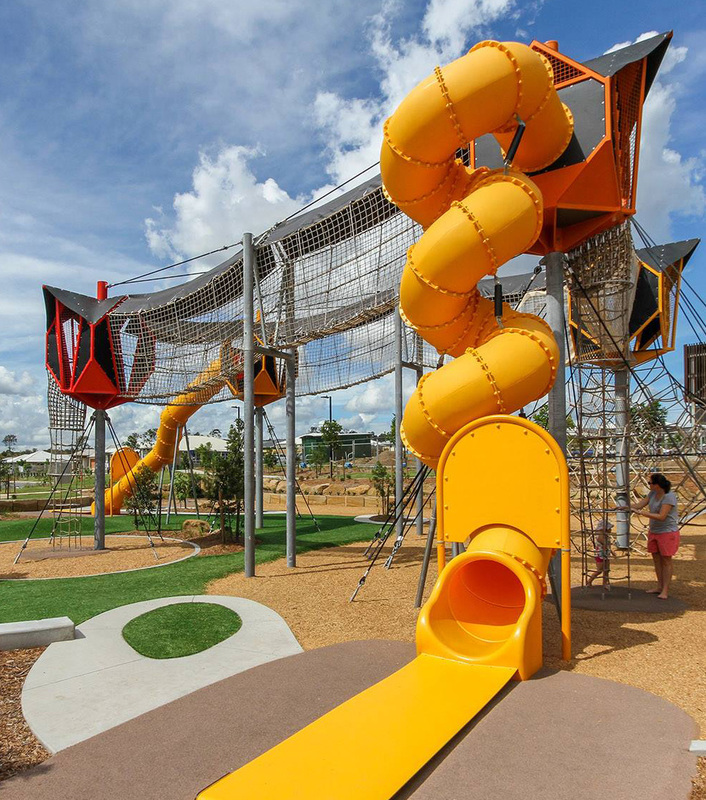 Children explore, and our Child-Centric designs inspire children to keep exploring, making every trip to the playset unique for children of all age groups. This helps prevent the boredom that leads to unsafe play. Which is why every playground set is designed with safety as our first priority. Children also need to feel free to explore, face challenges, and overcome obstacles. The balance between those two ideas is what makes Kompan playset the most innovative on the planet. Please send me current catalog. At Kompan Nebraska we know kids because we're parents ourselves. This means we put safety and fun at the top of our list. We have a long history in the artificial turf business and safety surfacing, so understand important factors like HIC value, shock attenuation and fall height requirements. As certified installers for SYNLawn, the leaders in playground safety surfacing, we have the know-how and products to safely protect our playgrounds from the dangerous injuries that unfortunately occur all too often on improperly padded playgrounds. The statistics from the CDC are staggering, and the #1 reason for so many traumatic brain injuries is inadequate fall protection. Our experience and passion in safety surfacing created a natural transition into the playground industry, having worked in a complementary role. We only represent manufacturers with a commitment to quality products & service, while also being good stewards for the environment. This is one of the reasons we have earned a first-class reputation as a successful company for over 17 years in the sports equipment industry (Practice Sports, Inc.). That's also why we selected Kompan to represent our commercial playgrounds. 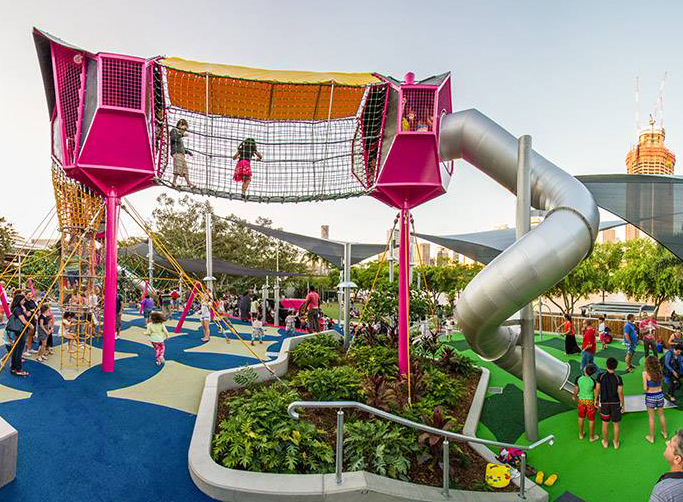 We selected Kompan to represent us for commercial playgrounds because they are true innovators in the space. They were the first manufacturer to offer unique, beautiful, and most importantly SAFE & INCLUSIVE equipment, that passes the most stringent IPEMA requirements. Kompan equipment is in a premium category, and typically one of the more expensive options in the market at first glance. But like other premium products in various industries, the value over the long-term sets them apart, resulting in the best overall play value per dollar over 15-20 years. Kompan goes over-board in the engineering of their parts, creating a feel of extreme durability and quality. Further, they have an excellent value system, with educational development as a top priority in their designs. And they don't just talk-the-talk - they have an actual "Play Institute" for constant analysis and improvement. The KOMPAN Play Institute is an international network of play and child specialists who monitor how trends in society influence children's development and play patterns.The institute also initiates and takes part in various research projects around the world. Kompan is the pioneer and inventor of "beautiful & smarter play"; and was born in Denmark in the 1960's by a sculptor tasked with building beautiful artistic pieces outside a housing development. The children from the homes instantly began climbing and playing on the sculptures, doing what kids do best - creating their own fun - when the light-bulb moment occurred. "Why can't playground equipment be fun AND interesting to look at?" From there the Kompan legacy was born, and evolved into the world's single owned largest playground equipment company, with offices throughout the world. Kompan's impact and influence has been massive on shaping the world of play, offering unique pieces of equipment that challenges kids to use their bodies AND minds - much beyond traditional playsets that children have mentally mastered before setting foot on the stairs. Although Kompan does offer some "traditional" equipment with slides and swings, all of our pieces have unique elements that set them apart, pushing playgrounds beyond the realm of basic "post & platform" ladder & slides made from cheap plastic & metal. A Kompan piece of play equipment engages kids into a world of curiosity & imagination, forcing them beyond their comfort zone, and compelling development of creative thinking and risk management - safely. Because Kompan originated in European cities where land space is scarce, Kompan's design teams have built our playsets to encompass a higher amount of "playability per square foot" than any other equipment in the industry. You won't find any other play structures that allow for more kids to safely play in a confined area than a Kompan piece of equipment. What are the benefits of this? Increased inclusiveness - less kids are left sitting on the sidelines due to crowded platforms. Smaller footprint required - which means a more economical overall application, in terms of ground preparation & safety surfacing. Contact us today to begin the process of transforming your world of play, mentally and physically. 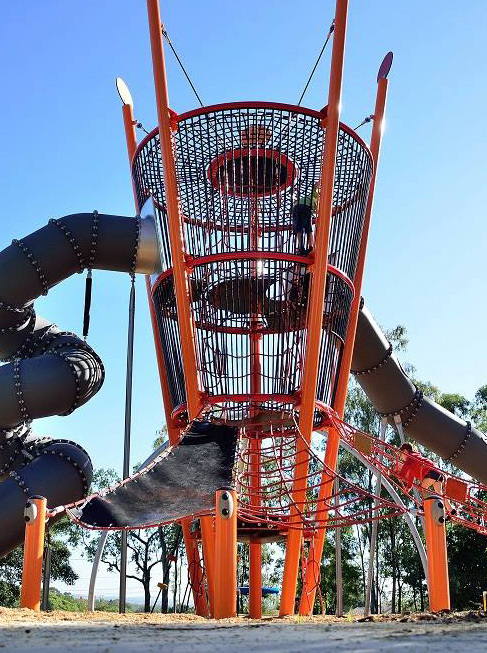 A Kompan playground will help create a new sense of pride within your community, giving you a show-piece playground that leaves kids and parents walking away with a feeling of "that in the best playground in town! ", and bringing them back over & over again.